I was looking for something a little different in an everyday watch. This one fits the bill. It is very stylish and modern looking. The face of the watch is a little larger than what I'm used to but I actually love the way it looks. Very pleased with this purchase. Large display and nice style. 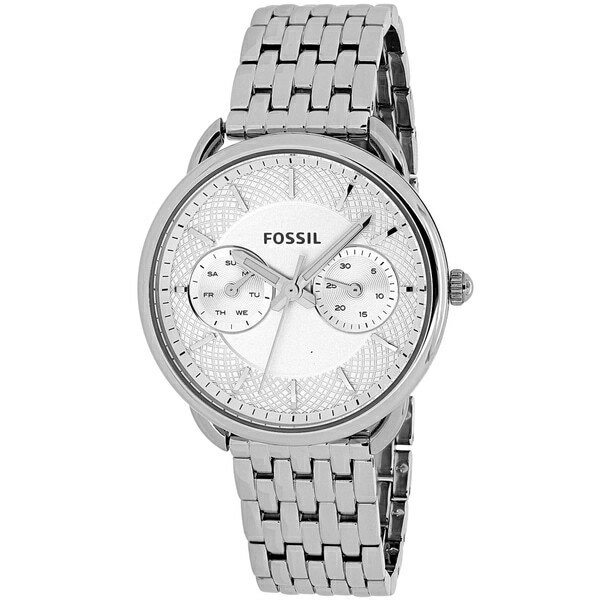 Always wanted a Fossil watch and the price was a good deal. Have had many complaint's on the watch by family and friends. This watch is perfect. Really beautiful. I have a very small wrist and was worried about the size. Thankfully it looks great, would not want anything smaller. Exactly what I was looking for.